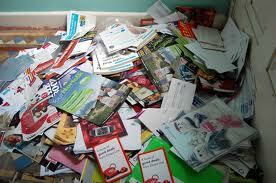 In a pile of papers marked “surveys you really should get rid of” I came across one from RatedPeople.com. The survey, which drew responses from 1,000 people, claims that 73% of us admit to having a drawer full of miscellaneous junk and 52% describe their homes as cluttered. A room designated as a home study or office is likely to be the repository for most of our unwanted stuff. Paperwork is top of the list (47%). Often sentimentality gets in the way of any innate urge to clear the decks with old birthday cards coming top of the list of personal items we are loath to part with (39%). Embarrassment is another reason for hoarding – we can’t quite get round to disposing of those kind gifts from friends and relatives for which we have no earthly use. Perhaps our innate fear is that they will call round and express surprise that you are not wearing/displaying that gift they spent at least two nano-seconds selecting. Despite the fact that there are many repositories for clothes and shoes we no longer have use for – charity shops, recycling bins etc – we still take up valuable storage room with them, the survey found. The pace of technological change is such that our living space has become a graveyard of obsolete gadgetry – old mobile phone chargers (39%) – it is astonishing but true that you can usually lay your hands on the charger for your previous mobile more easily than the charger for your current model – old VHS video tapes (36%) – does anyone still use a video recorder and, if not, why hang on to the things? – and other gadgetry (39%) feature high on the junk list. In the days pre-austerity when people used to holiday abroad – remember those days? – you used to come home with pockets full of small change which you were unable to change back up into sterling. Resisting the temptation to give the illusion of being generosity-personified by loading them into the nearest charity collection box, you are left with piles of coins (23%). Still with the current health of the Euro, my advice is to hang on to them – we may yet see the reappearance of the drachma, peseta and lira! I suppose being reluctant to part with stuff is part of our psyche and, goodness knows, our TV programme makers find our preoccupation with hoarding a rich seam to mine. I always found moving house regularly was a good way of getting on top of what I accumulated. Now I have a more staid existence, I am sure I am as guilty as the next person of hanging on to stuff unnecessarily. Perhaps it is time to change – disposing of surveys like this will be a small but significant step. I don’t know about you but here at Blogger Towers I always use solid silver cutlery to eat my food. The maid sits in the scullery everyday buffing and polishing the cutlery and the butler ensures that the table is laid to the most exacting standards to show off the gleam of the silverware to its best advantage. Here, we are the epitome of the Downton Abbey lifestyle. Sorry, I was dreaming but it seems that there is something in the theory that the quality of the cutlery and, indeed, the colour of the crockery upon which it is served goes some way to improving our enjoyment of our food. A study, published in the magazine Flavour, reveals the findings from a range of experiments. Their conclusion is that the weight, type and colour of cutlery can change our perception of the way food tastes. The experiments were conducted by the department of experimental psychology at the University of Oxford and tested participants’ reactions to foodstuffs – mainly yoghurt – presented in different ways. 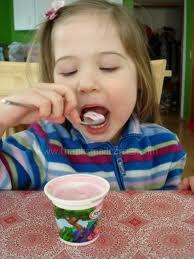 Yoghurt eaten with a lightweight plastic spoon tasted cheaper and less creamier than when eaten with a silver spoon. The colour of the cutlery also made a difference with yoghurt eaten with a white spoon tasting more pleasing that the stuff eaten with a black spoon. Pink yoghurt served with a blue spoon – where do they get this stuff? – apparently is the least attractive combination. Even eating cheese off the end of a knife makes it taste saltier. This seems to me to be Nudge theory gone mad – indirect suggestions, the theory goes, can influence the motives, incentives and decision-making process of groups and individuals (vide the post Toilottery elsewhere in this blog). The psychologists are working with Heston Blumenthal’s Fat Duck restaurant to develop a spoon which will enhance the dining experience – my God, with some of the concoctions he serves up and the risk of food poisoning, the gaff needs all the help it can get! There may be something in it – have you noticed how restaurants reduce the size of plates to give the appearance that portion sizes haven’t changed? But not all of the people can be fooled all of the time. Being the contrarian spirit that I am, I look at it differently. If I go to a restaurant where the ambience is perfect and the colour co-ordination of the cutlery and crockery are designed to match perfectly the culinary fare, I will anticipate that the food will be crap. If I go somewhere where they couldn’t give a hoot about the ambience, I will expect a gastronomic delight. Let’s see who’s right! 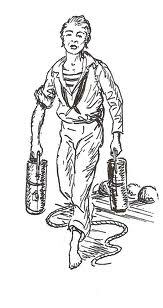 A powder monkey was naval slang used to describe a person, usually a small boy but occasionally a girl, who served on Royal Navy warships, particularly during the Napoleonic wars. Their role was to provide gun-crews with a continual supply of gunpowder during the heat of battle. The gunpowder left them with a blue residue on their hands and so sometimes they were known as blue monkeys. There are still pubs extant that are called either Powder Monkey or Blue Monkey in their honour. Not unsurprisingly, gunpowder was stored away from the guns, usually below waterline in a sealed area known as the magazine. The powder monkey’s job was to go down to the magazine, receive a supply of gunpowder and take it up to their allotted gun for loading. Not much to it, really. However, in the heat of battle the conditions in which they worked would have made even the most hard-hearted ‘Elf and Safety officer blanche. The first problem in the Napoleonic period was that ships were made of wood. When cannon balls, broadsides, struck the vessel splinters of oak would fly everywhere causing horrific injuries. Then, during the course of firing a gun could easily dismount its runners, causing the gun to move around often crushing or maiming anyone unfortunate enough to get in its way. Guns also had a habit of misfiring, sending a hail of scalding iron in all directions. Even if you were lucky enough to survive this mayhem, the sights and sounds must have been horrific. Because their role was to supply to guns with ammunition, the powder monkey’s role was absolutely critical to the efficiency and effectiveness of the warship. Flexibility was a key attribute – if your gun was put out of action you would be assigned to another gun but, more likely, as casualties mounted, you would have to service a number of guns. Warships often had over 100 guns and so there were many openings for aspiring powder monkeys. Of course, recruitment was not always voluntary. Many powder monkeys found themselves in post as a result of falling victim to the activities of the Impressment or Press Gang. Still, the consolation, if indeed it was such, was that you were playing a not insignificant role in developing and maintaining England’s supremacy of the waves. With the increasing mechanisation of armaments during the Victorian era and beyond, the need for the powder monkey declined. Pension entitlements and, indeed, pay were minimal – you were just grateful to get out alive. 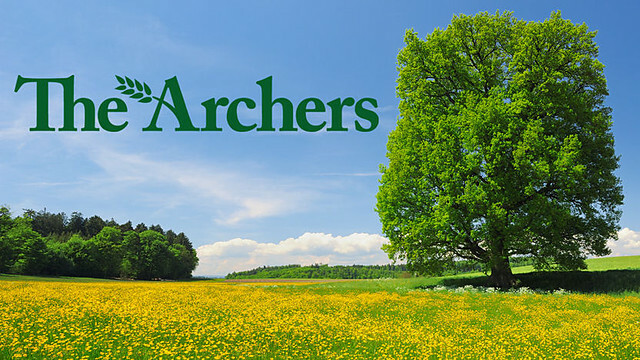 I have a confession to make – I am a fan of the Archers. Either because I work or because of the time that the show is broadcast I am restricted to listening to it as a repeat in the Sunday morning omnibus format. Perhaps the repeat format is appropriate given the latest moment of controversy to hit the 63-year-old radio soap – Jazzer McCreary letting rip on air with the immortal words, “Better oot than in”. Naturally, Jazzer is one of the oiks and a relative newcomer to the cast list. The pig-man has already courted controversy in that he is portrayed as a stereotypical Scotsman – he smells, he drinks, he belches and lets down all the women he ever gets near. He eats porridge. So, I suppose, farting on air is a natural extension of his character’s persona. Deep down, though, is to be found a heart of gold. For many of us, the delight of the Archers is the mundanity of the circadian rhythm of rural life – nothing much ever happened save a bit of tittle-tattle and a bit of petty squabbling amongst the characters. The Archers was the personification of John Major’s idyllic picture of British life – sunny summer evenings, warm beer and the gentle thud of leather on willow. Not very exciting in itself but a welcome oasis of calm from the frenetic pace of modern life. Since it has become the refuge for erstwhile producers and scriptwriters from telly’s soaplands, the Archers has become increasingly racier in its plot lines. We now are confronted with stories about cancer, infidelity, hit men who may or may not have caused the death of a philandering half-brother and so on. This may be real life in the raw, even in rural Borsetshire, but it is not what we tune the cat’s whiskers in to hear. If this downward spiral is an attempt to improve ratings, the producers do so at the risk of alienating their loyal listeners. We want escapism, a glimpse of Britain as it was or how we fondly imagine it. We don’t want to be confronted with yet more reality. Jazzer’s fart may become the nadir of the show’s fortunes. It is difficult to imagine how the producers are going to trump it. What Is The Origin Of (24)….? There are a number of variants of this phrase – as right as rain or as right as ninepence being the most common – and it is used to suggest that something is neat, tidy or well-ordered. The first variant of the “right as” formulation can be traced back to the early 15th century where the phrase, right as an adamant, was used in the Romance of the Rose. An adamant was a hard stone such as a diamond or a lodestone and so the expression conveyed the sense of certainty and straightness. Variations of this formula began to appear in the 16th and 17th centuries with as right as a line which was quoted as a proverb in 1546, as right as a gun which is found in John Fletcher’s play, the Prophetess, of 1622, and as right as my leg which is found in Sir Thomas Urquhart’s translation of Rabelais’ novel, Gargantua and Pantagruel of 1664. In the nineteenth century Charles Dickens records another variant in his first major novel, Pickwick Papers, published in 1837, when Bob Sawyer is given the line,”I hope you are well, sir.” “Right as a trivet, sir,” A trivet was a stand for a pot or a kettle which was placed over an open fire to lift the utensil above the flames and to allow the contents to heat. The phrase “as right as ninepence” first makes its appearance in a slight variation, as neat as ninepence, in James Howell’s English Proverbs of 1659 when he records the proverb, “As fine as fippence, as neat as nine pence.” There was a ninepence coin in circulation in the 16th and 17th centuries and its use here in conjunction with a fivepenny piece suggests that it was coinage that the phrase referred to rather than the alternative – that it was a corruption of the word, ninepins, a form of skittles in which the pins were set out in a neat square. As right as rain which is the phrase we would most commonly encounter these days is a rather late entrant to the list of variants. It first appears in printed form in Max Beerbohm’s book, Yet Again, which was published in 1909. 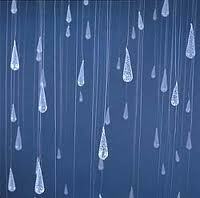 He writes, “He looked, as himself would undoubtedly have said, ‘fit as a fiddle'”; or “right as rain“. It is not quite clear why rain is used to convey the sense of security or comfort – perhaps it is just a question of being a pleasant form of alliteration or acknowledgement of the importance of rain to successful farming. Whatever the reason as right as rain became the etymological equivalent of the grey squirrel thereafter and usurped all other variants. Author frimleybloggerPosted on June 26, 2013 June 24, 2013 Categories Culture, HistoryTags as right as ninepence, as right as rain, Charles Dickens2 Comments on What Is The Origin Of (24)….? If you want proof positive that we Brits have in these times of austerity retained our sense of irony, you need look no further than our mainstream reality shows. Britain’s Got Talent is one of ITV’s flagship shows and is the show of choice for no-hopers and wannabees seeking fame and fortune. The clue to the show’s remit, you would have thought, is in the title. But that didn’t stop the great British public who awarded a Hungarian mimetic ballet troupe the premier accolade. Turning over to the Beeb, we have the Voice, a show with a format which at best seems half-formed. The judges hear the contestants but don’t see them and so judge them on the quality of their voice alone. So far so good. But the show descends into just another karaoke competition once the judges know who they are. However, the British public have rescued the Beeb who have been wrestling to no avail with the problem of how to perfect the format by awarding Andrea Begley the crown. So now we have a show which starts out with a panel of judges who cannot see the contestants being won by a singer who cannot see the judges – perfect! So where do reality shows go from here? Britain’s Got Talent did, apparently, produce the TV highlight of the year so far when viola player, Natalie Holt, left her seat in the orchestra to pelt the particularly oleaginous Svengali, Simon Cowell, with eggs. Hold on to that thought a second. Rod Liddle asked in the latest edition of the Spectator what must rate as the question of the week – which television chef would you most like to see throttled in a restaurant? Whilst I agree with him that Nigella Lawson wouldn’t have been top of my list, I think there is the kernel of an idea here. As a nation we like to build up our celebs only to knock them down again with gusto. 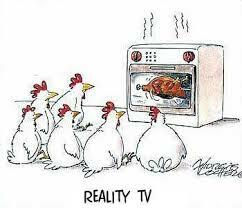 How about a reality show that involves the great British public selecting a celeb for some form of public humiliation? The list of candidate groups – bankers, politicians, minor royals, irritating TV personalities – is so extensive that there will be no shortage of programme material. The more I think about it, this may well be the route to salvation that the British reality TV industry is desperately seeking. Now where did I put Endemol’s telephone number? The latest inductee to our Hall of Fame is William Bullock who transformed the printing industry with his development of the rotary perfecting press. Bullock was born in Greenville, New York and was orphaned at an early age. He started his working career early out of necessity as a machinist and iron founder and through self-education developed an interest and profound knowledge of mechanics. 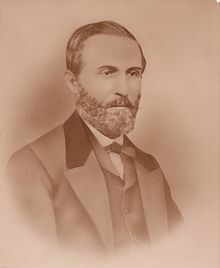 By the mid-1830s he was running his own machinery shop in Savannah, Georgia and developed a shingle-cutting machine. Unfortunately, his business went bust because he was unable to market his invention. Moving back to New York – he had found time to sire 13 children with two wives in the interim – he made artificial legs. But soon he was able to give full rein to his inventive side designing, amongst other things, a cotton and hay press, a seed planter, a lathe cutting machine and a grain drill. It was this latter invention that brought him to national prominence when he was awarded second prize by the Franklin Institute in 1849. Shortly afterwards, our hero moved into the newspaper industry editing the American Eagle and then building a high-speed press for the nationally circulated Leslie’s Weekly in 1860. The newspaper industry was growing like topsy – by the 1850s there were over 2,500 newspapers in the US alone – and the technological deficiencies of the printing presses were seriously inhibiting production capabilities. As early as 1835, Sir Rowland Hill – he of postage stamp fame here in Blighty – suggested that the next major step forward should be the development of a press that was capable of printing on both sides of the paper at the same time. It was to this problem that Bullock applied his mind. By 1861 he had cracked it with the rotary perfecting press and he was awarded a patent two years later, after the prototype had been installed at the Cincinnati Times. In 1865 the Philadelphia Inquirer had installed the first fully functioning model. Bullock’s machine contained a number of technological breakthroughs – it allowed for continuous large rolls of paper to be fed automatically through its rollers, thus eliminating the necessity to hand-feed paper into the machine; the press was self-adjusting, allowed printing on both sides of the paper, folded the paper and with a sharp serrated knife which rarely needed sharpening cut the sheets with rapid precision. The combination of all these features revolutionised the efficiency of the printing process. His early models were able to produce 12,000 sheets an hour and later, after further refinements, notched up an impressive 30,000 sheets an hour. His design is still used today. But sheer genius is not enough to make it into our Hall of Fame – there has to be a flaw in your character or you have to suffer a monumental stroke of ill-fortune. It was the latter that earns Bullock his elevation to our rolls. On April 3rd 1867, our hero was making some adjustments to one of his new presses being installed for the Philadelphia Public Ledger newspaper. He tried to kick a driving belt onto a pulley but, unfortunately, his leg got caught in the machinery and was crushed. Within a few days he had developed gangrene and on 12th April died on the operating theatre when surgeons were trying to amputate his leg. Developing a revolutionary piece of technology which was the cause of his death – William Bullock is a truly worthy inductee to our Hall of Fame.